Delicious Thai Chicken Wings made in the slow cooker. I love that chicken wings cook nicely in the slow cooker and you can add a sauce in and flavor the wings. My chicken always comes out moist and delicious. Once the chicken is cooked, remove the wings and drain any cooking juices. Use 1/2 the peanut sauce and toss the wings really good in the sauce. You can serve immediately, or put the wings back in the slow cooker and serve from the slow cooker on warm. I like to serve with a little of the extra peanut sauce to dip the wings. These can be serve as an appetizer or with fried or white rice for a meal. 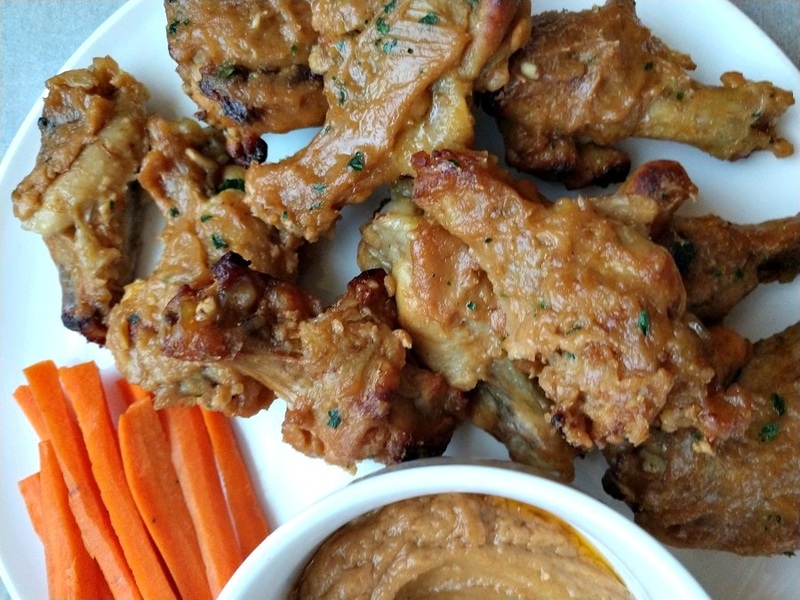 Delicious chicken wings with a hint of ginger and tasty peanut sauce coating each wing. Serve with extra sauce for dipping. Place thawed chicken wings in a 4 qt or 5 qt slow cooker. In a medium mixing bowl, mix water, lime juice and ginger. Pour this liquid over the wings. In a small saucepan, whisk together the peanut sauce ingredients. Heat over medium-low heat until the mixture is smooth. Set aside until the wings are cooked. Once the wings are cooked, remove them from the slow cooker. Discard any cooking liquid. Place the wings in a large mixing bowl. 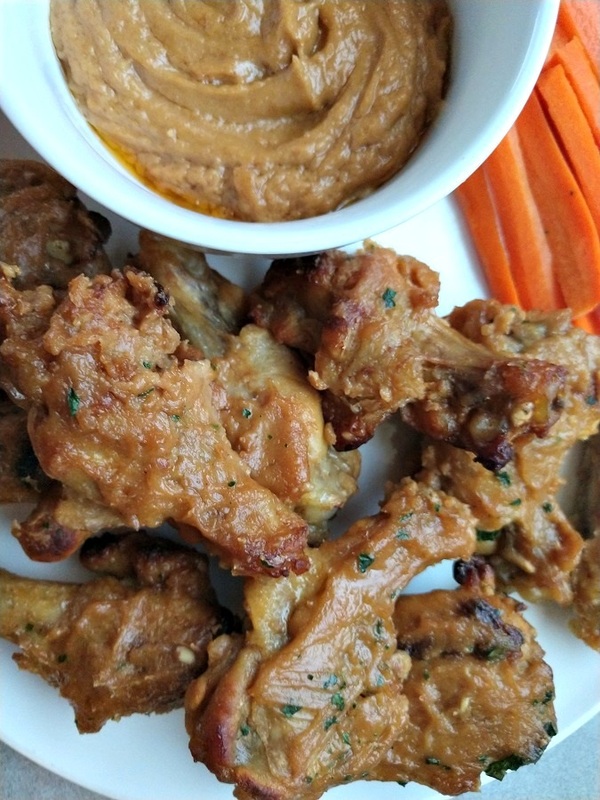 Toss the chicken wings with half the peanut sauce making sure to coat each wing. Either serve immediately or return the wings to the slow cooker on WARM and serve directly from there. 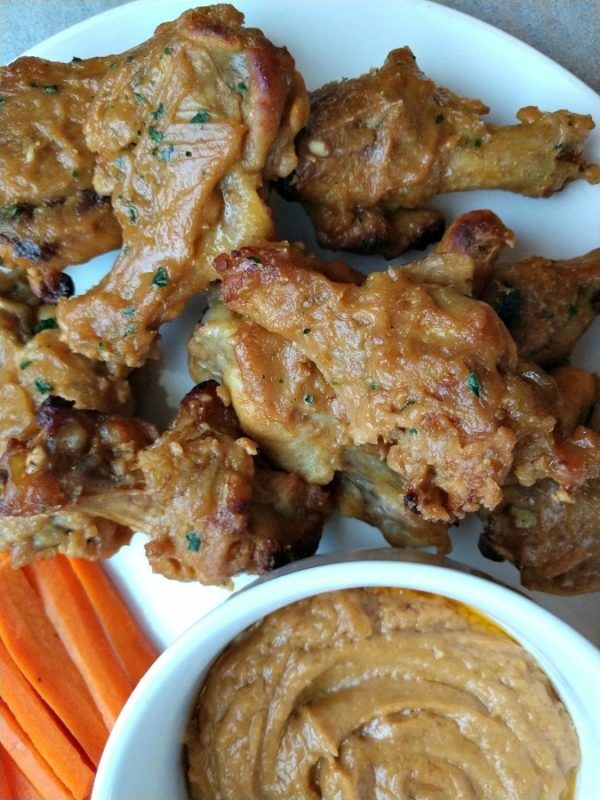 Serve wings with remaining peanut sauce for dipping.